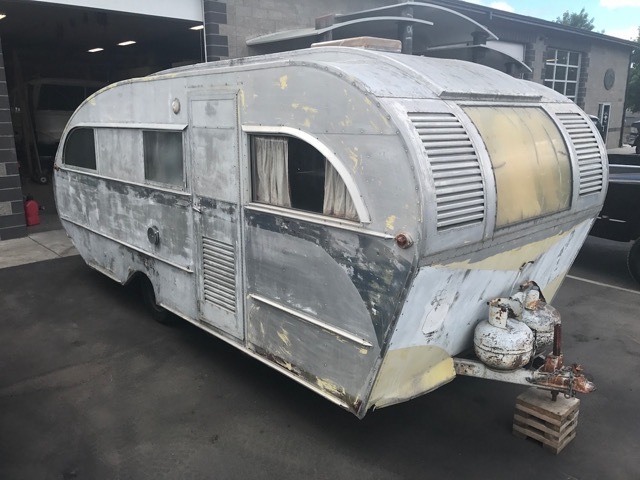 Vintage travel trailers on this page are ready to be restored or purchased. Visit our Portfolio to see past projects and vintage travel trailer restorations currently in progress. If you are searching for something in particular, please let us know as we have many contacts and resources and may be able to help you with your search. Check out this rare find! 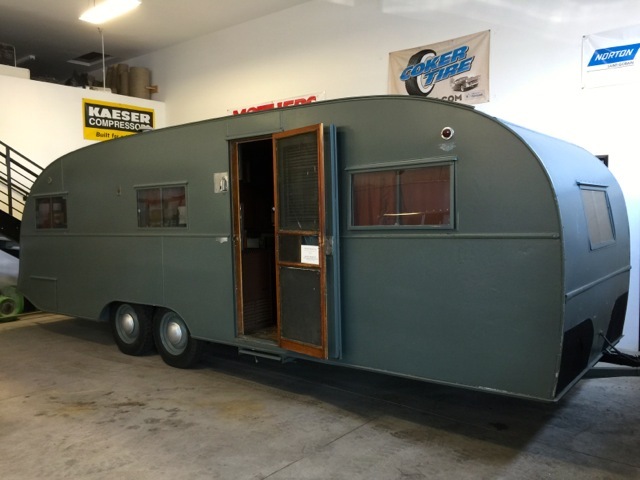 This 1936 Hammerblow Travel Trailer was originally built by the Hammer Blow Tool Company out of Waysau, Wisconsin. This is a very rare 1936 Albatross trailer. As far as we know, this is the only one ever to be built. 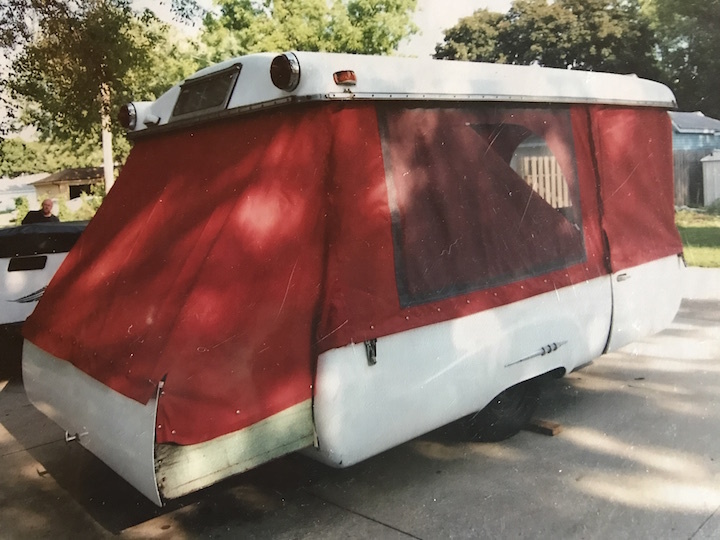 This trailer is a great entry level start into a potentially incredible vintage build. This may be the only opportunity to own this priceless piece of history! SOLD!! This is the first dual axle production trailer ever built. Purchased from the MH/RV Hall of Fame. It has been meticulously restored. With new leatherette exterior, cavas roof. 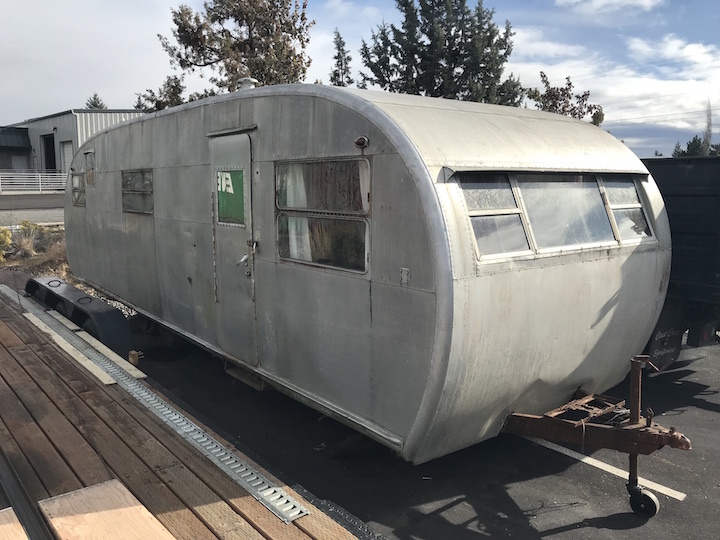 This trailer has been brought back to its original condition. This is truly a museum piece. This 1955 Pan American is completely intact and is in incredible condition. This 1952 Spartanette Tandem has amazing potential! This 1949 Palace Royale is one of our favorites! 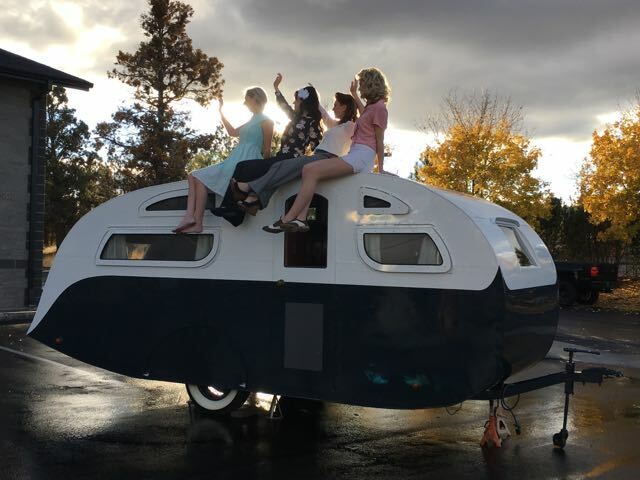 Visit our Vintage Restoration page to view a full restoration of this beautiful trailer. A beautiful 1947 Aero Flite available for Restoration ONLY. This trailer is designed with functionality in mind as well as beauty. An exquisite piece of history! 1940 New Moon acquired from MH/RV Hall of Fame in Elkhart Indiana. 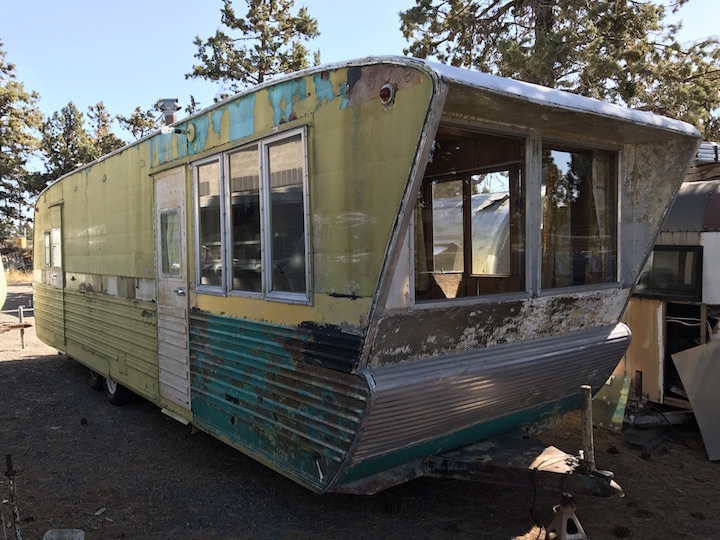 It is available for sale or for restoration by Flyte Camp! It is in it's original condition. No restoration has been done to it. See the photos for more details. SOLD!! 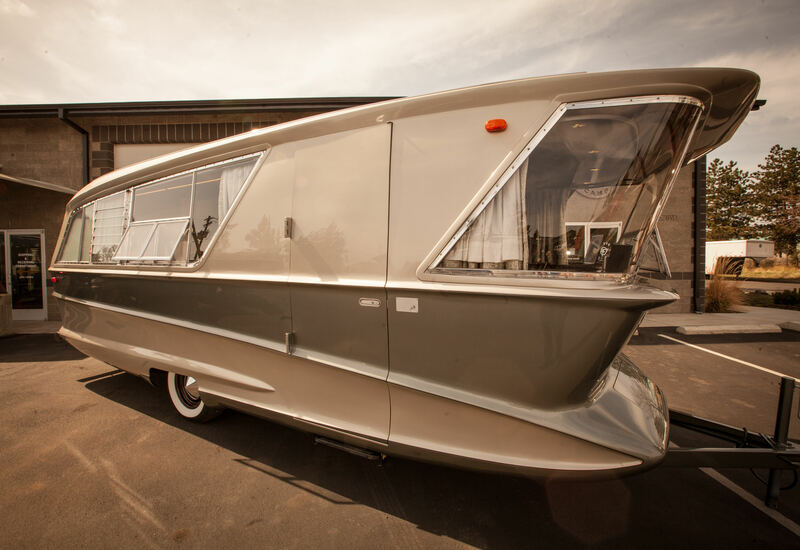 Completely renovated from the frame up this is arguably one of the coolest trailers ever built! 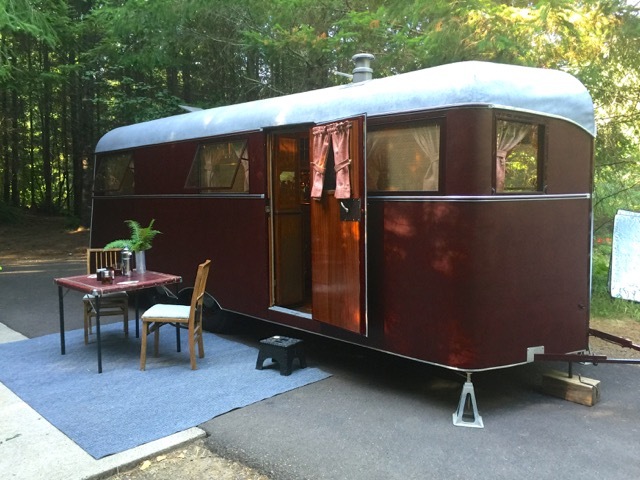 This one of a kind trailer maintains the look and feel of 1936 but gives you the updated amenities of a trailer built to today's standards. Check out this top quality, just under 28ft, 1948 Westcraft Sequoia available for restoration ONLY. Complete with desirable "trolley top" roof.